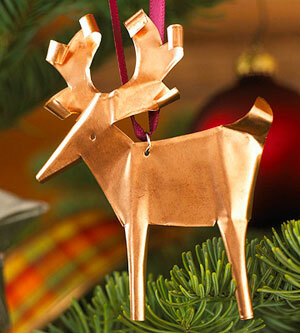 Turn a sheet of copper into a jaunty reindeer ornament to take home or to give as a gift. Learn to use the most common jewelers' tools: a jewelers's saw to cut out the shape, files to clean up the cutout, pliers to give it some shape, and the torch to give it a patina. A great class for beginners or anyone who wants to give a unique handmade gift. Minimum age: 16.